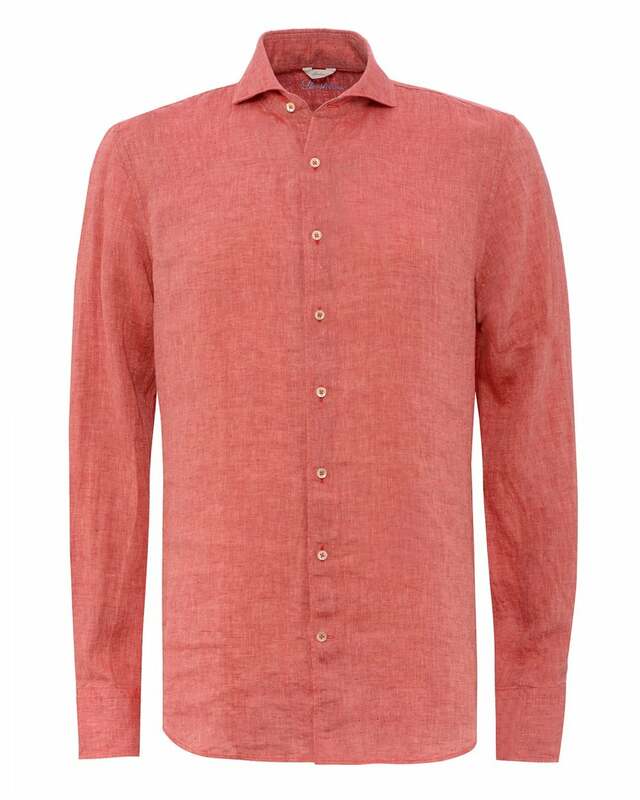 Crafted from 100% linen, this red shirt is the perfect piece for casual office wear. Featuring mother of pearl buttons, a cutaway collar and single cuffs. Try wearing this with black jeans and a dark coat or blazer for a sleek, stylish look.